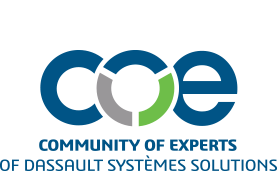 COE helps users and their company leverage their Dassault Systèmes solutions through education, training, networking opportunities, product influence and best practices available exclusively to COE members. To lead and serve an independent community that drives innovation and productivity utilizing the Dassault Systèmes suite of solutions. COE is a not-for-profit taxpaying corporation. The primary objectives of COE are to provide a forum for the interchange of knowledge, experiences, and technical information relating to the application of the Dassault Systemes family of solutions and the environment in which they operate; and to communicate with Dassault Systemes regarding the current and future capabilities and use of these products. Membership is open to all licensed users of the software in both commercial and academic environments.